NEW YORK—Honoring their sartorial excellence at a time when most people dressed all frumpy, the Parsons School of Design celebrated the start of Black History Month Thursday by recalling how sharp African Americans looked in old-timey clothes. “Throughout February, as we recognize the countless contributions black citizens have made to this country, we should also acknowledge how unbelievably snazzy they looked in turn-of-the-century outfits, from the crisp trousers, to the bow ties, to the feathered headbands, to the ruffled dresses, and on and on,” said MFA Program Director Shelley Fox, highlighting the great strides made by cool 1920s-era jazz guys who could not only pull off the zoot suit and saddle shoe look, but managed to effortlessly tie the whole thing together with their pork pie hats tilted slightly askew. 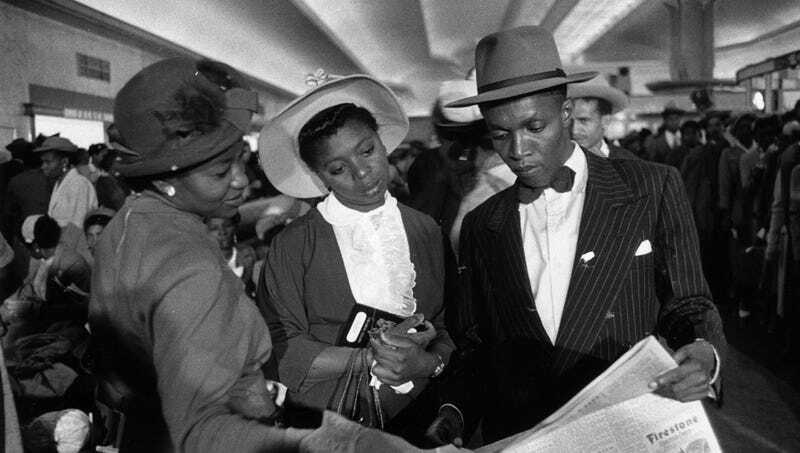 “That’s what this month is all about—looking back at those grainy black-and-white photos and marveling at the staggering number of African Americans who were dressed to the absolute nines.” Fox added that whatever one’s race, Black History Month was a good reminder that we can always endeavor to look spiffy.